ADF International warns the proposed law would endanger fundamental freedoms: “We strongly encourage the Spanish Parliament to reject the bill”. 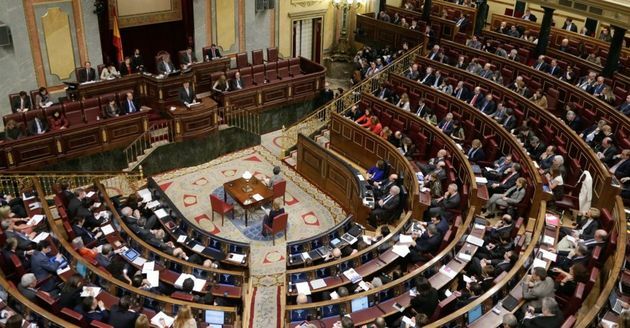 The Spanish Parliament will discussed the Bill in Spetember. The confederate parliamentary group of leftist parties Unidos Podemos, En Comú and En Marea presented the LGBT Non Discrimination and Equality Bill in the Spanish Parliament last May. The draft law will be discussed in September, and it claims to fight homophobia. It will incorporate “obligations and duties” for the state administrations to establish “proactive policies” to promote gender ideology. “In light of its expansive scope and the legal uncertainty resulting from the vague terminology used, it is likely to have a significant and detrimental impact on citizens’ fundamental freedoms”, it adds. Download and read the full ADF international memorandum on the LGBT Non Discrimination and Equality Bill. "We have come to the conclusion that of all the European Union equality laws, this is the most harmful and damaging we have seen so far", Rubén Navarro, representative of ADF International in Geneva, told Spanish website Protestant Digital. “The Equality Bill does not meet these requirements, as it employs vague terms open to expansive interpretation, making it difficult for citizens to foresee the legal consequences of their acts”, the document explains. “The proposed wording of the legislation results in an unprecedented widening of the scope of anti-discrimination laws, which would significantly encroach on fundamental rights”, ADF says. 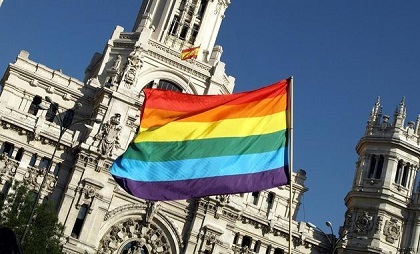 A gay flag in a gay pride celebrations in Madrid. “That proposed reversal of the burden of proof would make it difficult for defendants to prove their innocence and open the door for opportunistic lawyers to commence strategic litigation at great cost to businesses and citizens”, it adds. “By making no reference to the rights of parents, the Equality Bill stands in stark contrast to the well-established international legal norms which see parents as primarily responsible for raising their children”, the memorandum points out. According to ADF, the Article 20 bis of the Equality Bill “could result in an infringement of the right of parents to ensure their children receive education and teaching in conformity with their own religious and philosophical convictions”. “The way in which the crimes are established heads towards the dissolution and bankruptcy of Christian organizations and institutions based on the defense of certain values and principles; unpopular or unorthodox opinions will be expelled from the public space”, the ADF representative told Protestante Digital. ADF is an organisation that advocates for religious freedom. The organisation warns that “for pro-family organizations, it will be practically impossible to organize training days, conferences or public activities without incurring criminal offenses." “We strongly encourage the Spanish Parliament to reject the Equality Bill”, the memorandum concludes. ADF is not the only international organisation that has expressed its concern about the Spanish LGBT law. In Spain, the Spanish Evangelical Alliance (AEE) has expressed its concern about the Bill in a long analysis of the text. In addition to the statement, the Alliance has launched an online petition to collect signatures to stop the law. Nearly 10,000 people have signed the petition so far. Meanwhle, the Federation of Evangelical Religious Entities in Spain (FEREDE) asked the Advisory Board for Religious Freedom of the government to analyse the text to see if it clashed with basic rights protected by the Spanish Constitution. The proposition was accepted.